Every year, thousands of brands in Quebec embrace the Holiday season with open arms by launching incredible marketing campaigns with magical imagery. The key to a successful marketing strategy is to inspire festive feelings. We make sure your brand makes the biggest splash by raising the bar with creative imagery capturing the festive spirit and warming the heart of your audience. We will have your clients thirsting for more! 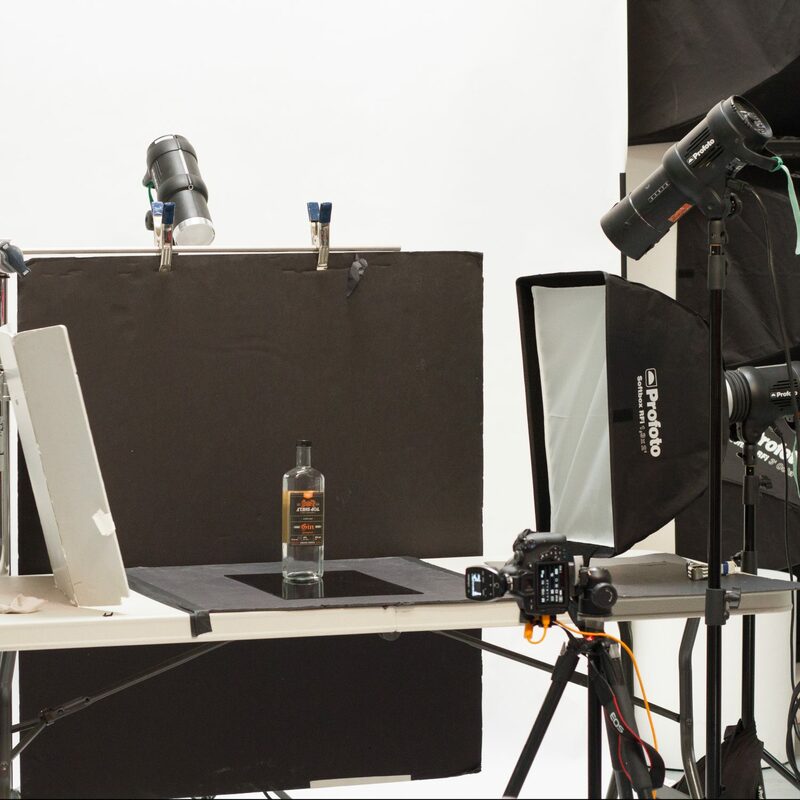 As imagery and product photography experts, we found the recipe to Holiday season success. We know exactly how to tap into the emotion and the spirit of the Holidays. 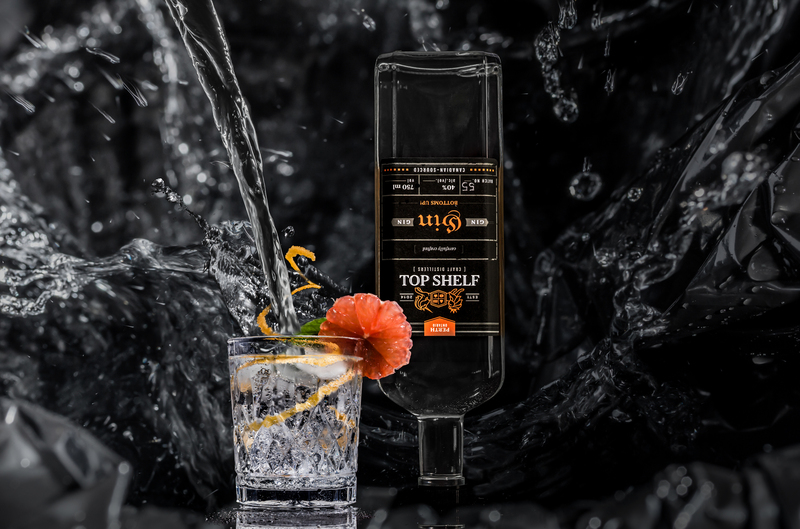 We pulled together a few of our favourite product images to show you start to finish what we can do with one product with creative imagery, product photography and product cinematography. We invite you to our behind the scenes journey! The first step to any product imagery is to choose a backdrop that will enhance the product’s features and design. 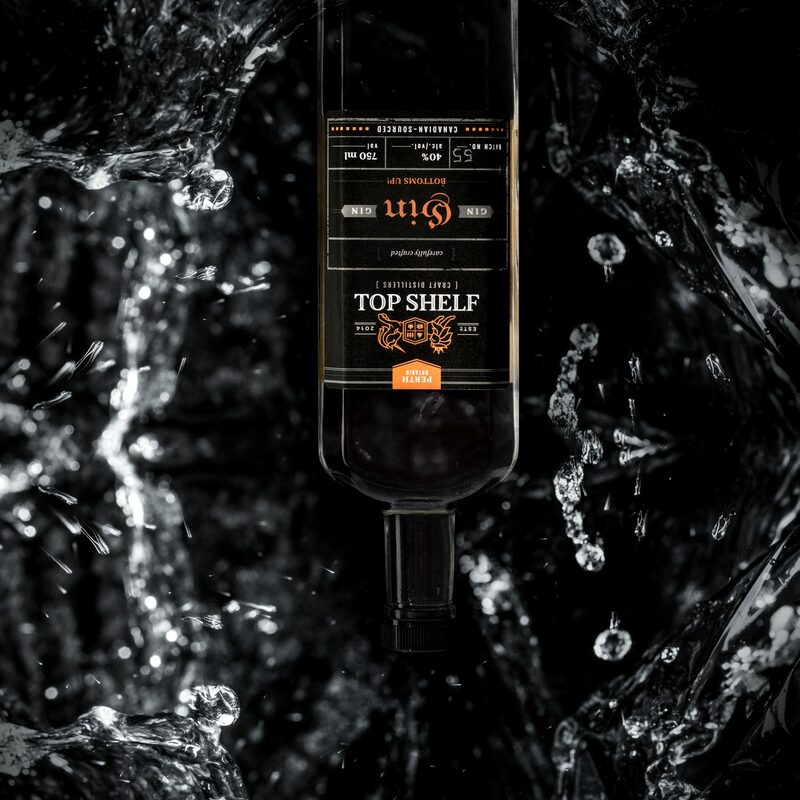 We opted for a black background to get our base image and to create a beautiful contrast to the bottle and the glasses as seen below. To better showcase the product and give a modern spin to traditional Holiday imagery, we wanted to push our creative borders and play with the product’s feature: its liquid texture. We explored it in different ways. 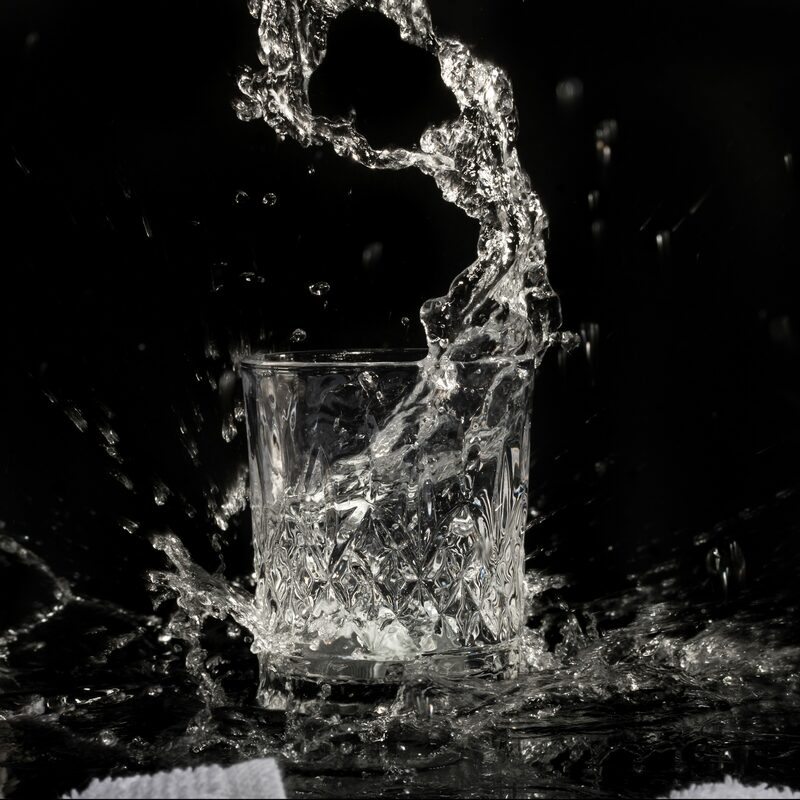 We first tried capturing the mist but opted for splashes, water droplets and the pouring of the liquor to have even more dynamic visual effects. The key element when marketing a product is to create a lifestyle surrounding it. For this shoot, we wanted to show different ways one can consume the product. 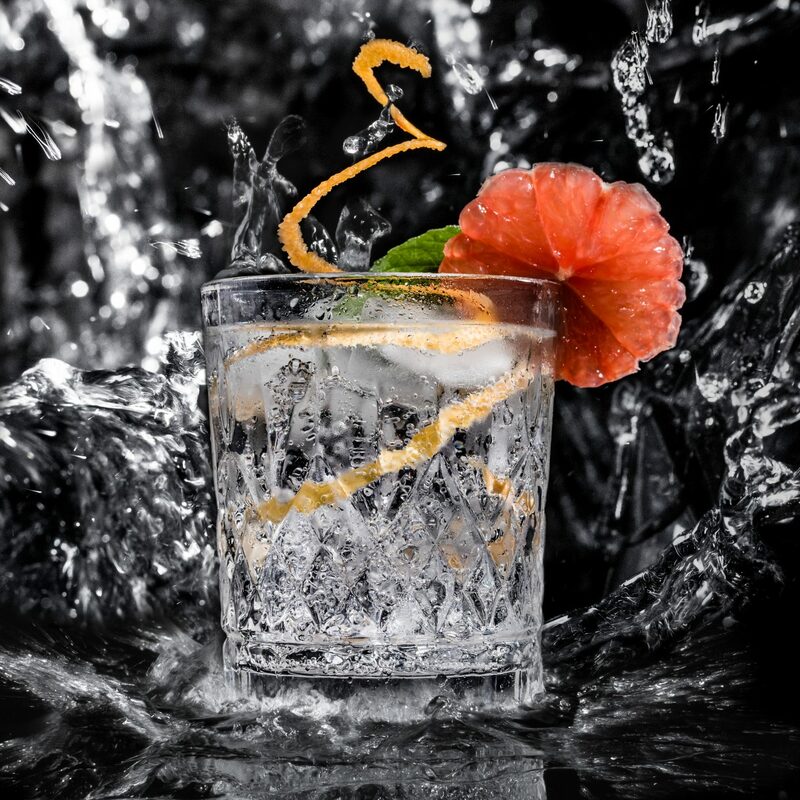 We decided to feature different cocktails with different garnishes, thus inviting people to imagine and create their very own favourite cocktail with this liquor. Combing all the product shots and the effects created into one polish concept allowed us to come with a beautiful assortment of product photographs showcasing the product’s design, features and characteristics. Adding our product cinematography was the final touch to this entire campaign, pulling everything together. Whether you are looking to create bold imagery or soft and curated photographs, we think beyond typical concepts to invite your audience to engage with your products and services. Get ready to get merry with creative and magical branded imagery! Call our product photography experts to dive in the most wonderful time of the year.